The venerable Game Boy is dead – and has been for a long time – after being replaced by the DS, DSi, DSi XL, and the 3DS. That doesn’t mean there’s nothing of value to the old Game Boy catalog; Pokemon Red/Blue is still as much fun as it was 15 years ago, and the game play of Advance Wars is still superb. [Maarten] over at Bureau voor Gamers decided to put a modern twist on our old friend by taking a first-gen DS and converting it to a proper single screen Game Boy (Dutch, Google translation). The donor machine was a broken first gen DS with a broken top screen. [Maarten] removed the top screen, did a tiny bit of Bondoing, moved the speaker, and gave his new toy a bright orange paint job. Now [Maarten] has a modern version of the best portable system ever created, packed full of more powerful hardware and a much more capacious battery. Sure, it’s not a build that requires rewiring everything, but it’s still an awesome build for GBA aficionados. 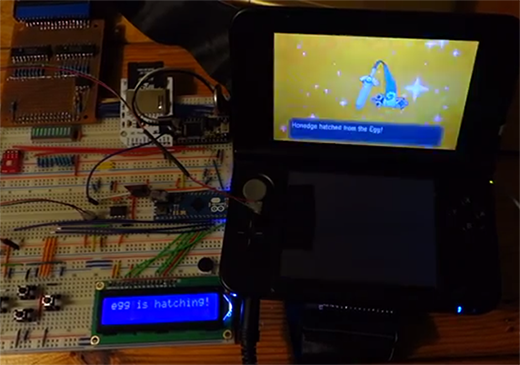 [Hounjini] was poking around at the Game Boy Advanced bus of his Nintendo DS lite and figured out how to use it to connect an Arduino to the DS. For testing he’s soldered an IDC plug to the cartridge cover pin interface but this only requires four connections. 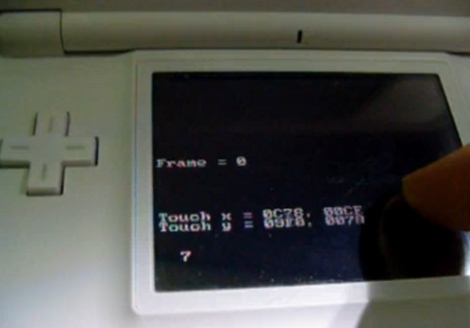 The Arduino can both send and receive data from the DS lite as shown in the example videos after the break. The data access is made possible by making the Arduino look like a controller that the DS is happy to talk to. [Epokh] has release some homebrew software that uses a Nintendo DS as a voice reader for documents. This is extremely useful for blind and visually impaired folks who normally use screen readers but can utilize this technology for reading books, documents, and email on the go. Future versions look to add an email client and implement OCR via the camera for reading documents on the go. The flite package is utilized to provide the text to speech functionality. We’re familiar with this package and judging by the video after the break, it lost nothing in the port to the DS hardware. [Epokh] pointed out that similar readers can cost $1500 when a DS sells for around $130. We can’t wait to see the final version fleshed out! It’s hard to believe we missed this one from a couple of years back but we’re thankful that reader [Christian] tipped us off about it. This a Nintendo DS with two tablet pc screens being used as an external display. He’s using an FPGA but not to emulate the processor. It is translating the video data from the DS board into usable signal for the larger LCD screens. In the video after the break you can see that pen input has been implemented, with the FPGA sending location data back to the DS. [Neal], the creator, priced the project out at around $580. It’s worth a lot more considering the know-how needed to get the video scaling and pen input right using the FPGA. It won’t fit in your pocket, but it doesn’t have a case either so it’s not going anywhere anytime soon.